“Data Dividend” is the next Income Inequality Solution for California | Business Forward! In his first state of the state address on Tuesday, California Gov. 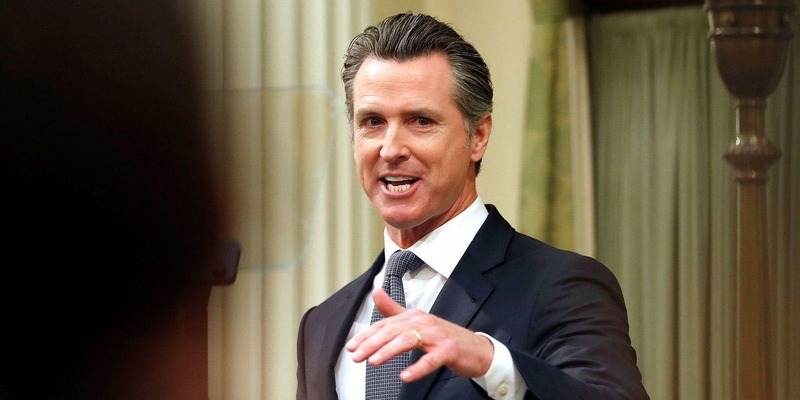 Gavin Newsom proposed a new “data dividend” that could allow residents to get paid for providing access to their data. Newsome inhabits a Robin Hoodesque Sherwood Forest that would like to take from the money gushers of tech and distribute their wealth to the less digitally fortunate. While this income equality theory is relatively novel, it is just another Marxist-style attempt to level the playing field, which as we know, will never be done. So what exactly is a data dividend? The idea of paying people for their data isn’t new. One of the worst business models from the dot-com boom was “pay to surf,” employed by companies that explicitly paid internet users for their time and attention. In our estimation, they were probably 20 years ahead of the data dividend curve. The data dividend could take several forms. It could mimic the Trans Alaska Pipeline model, whereby it established the Alaska Permanent Fund, declaring it would transfer at least 25% of all annual oil royalties into the fund. In 1982, every Alaskan started receiving a check of $1,000 or more annually from the fund. Surveys suggest that 95% of that dividend goes directly to the purchase of alcohol and its by-products, drugs and firearms. All kidding aside, the fund, which also makes investments in the stock market and real estate, now manages over $60 billion in assets. Unlike oil and gas companies, which are tethered to land rich in minerals, there is nothing tying tech companies to California other than history and tradition. If you don’t think they would pick up and move, just look at Amazon’s epic departure from tax-heavy and corporate-hostile New York. On a side-not, I am thinking that Bill Gates is slipping into early dementia with his call for increasing the capital gains tax rate. How cavalier for one whom such proposal would make no difference. However, to the entrepreneurial backbone of America, there is nothing more haunting that having the government usurp your ingenious ambitions and the financial gains that come from it. Again, referring to the Laffer Curve, this is only the beginning of what would eventually happen by taxing at such a high level that incentive to produce is eliminated from the capital markets. And who steps in to fill the void…central government. Newsome remarks, “California’s consumers should also be able to share in the wealth that is created from their data. And so I’ve asked my team to develop a proposal for a new Data Dividend for Californians, because we recognize that your data has value, and it belongs to you.” In typical bureaucratic form, the research into this notion will take months and cost thousands of dollars in time, only to report back what should be obvious to anyone who has an inkling of how online data juggernauts operate. If you want Facebook and Google to pay more to ameliorate the social ills they cause, just raise their taxes. After all, Newsome and his San Francisco comrades have been doing it for many years. Good luck with that.